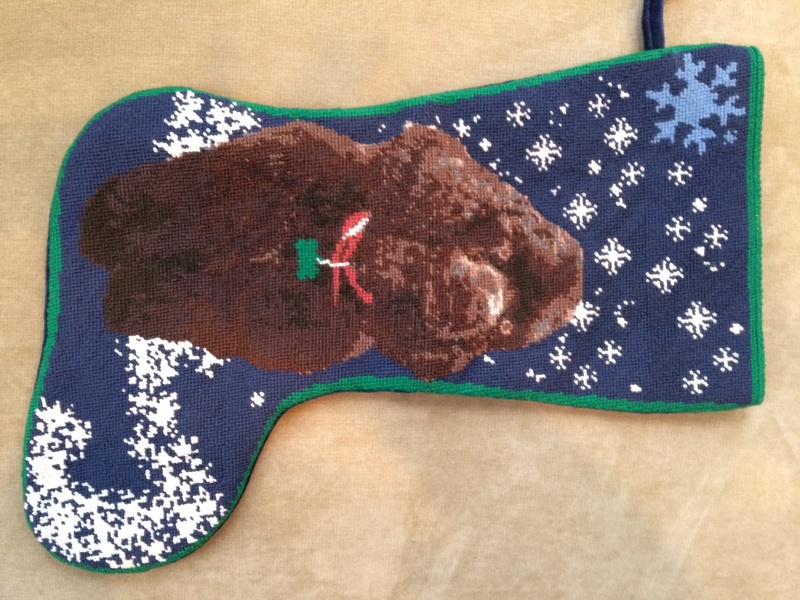 Just in time for the holidays, I’m attaching pictures of a custom needlepoint christmas stocking that we stitched for a customer a few weeks back. It was a big hit! 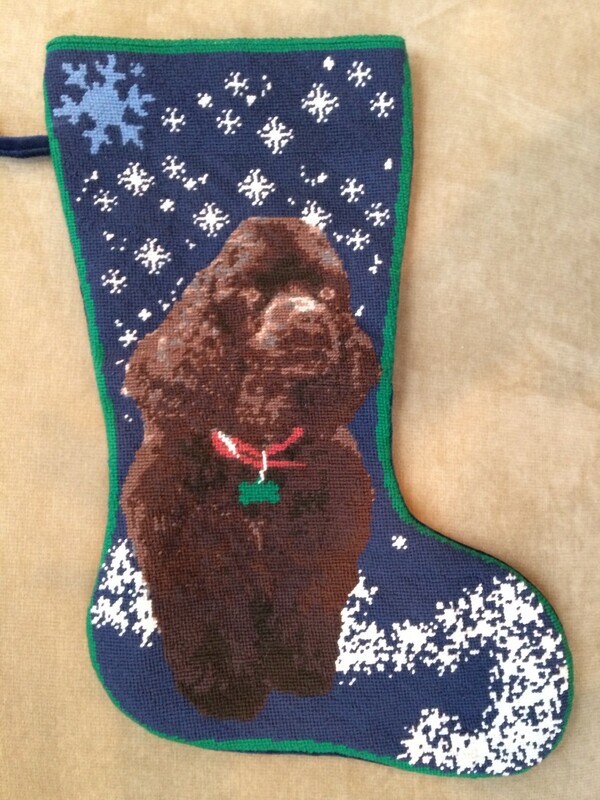 We used the Blue Snowman Needlepoint Stocking as the backdrop and replaced the snowman with their dog! Also, before you leave this page, I want to thank all of our customers for keeping us very busy this year! 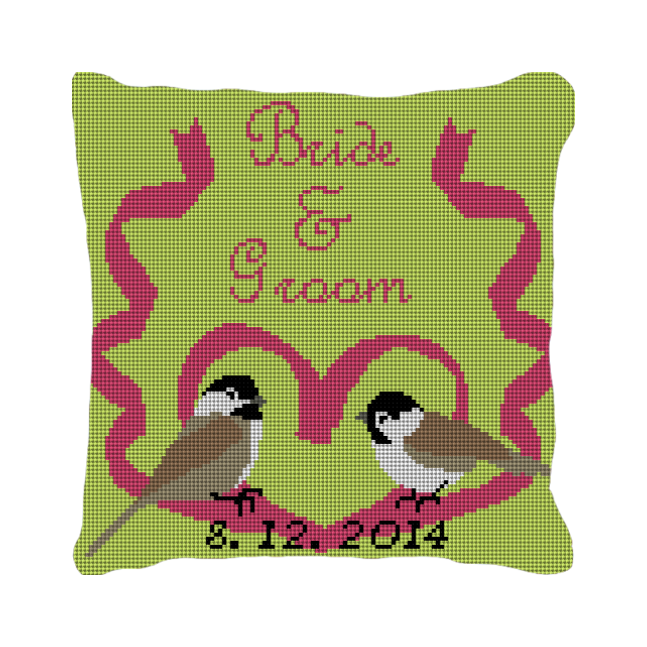 I know it is almost Christmas, but it is already time to start thinking about upcoming events this summer! 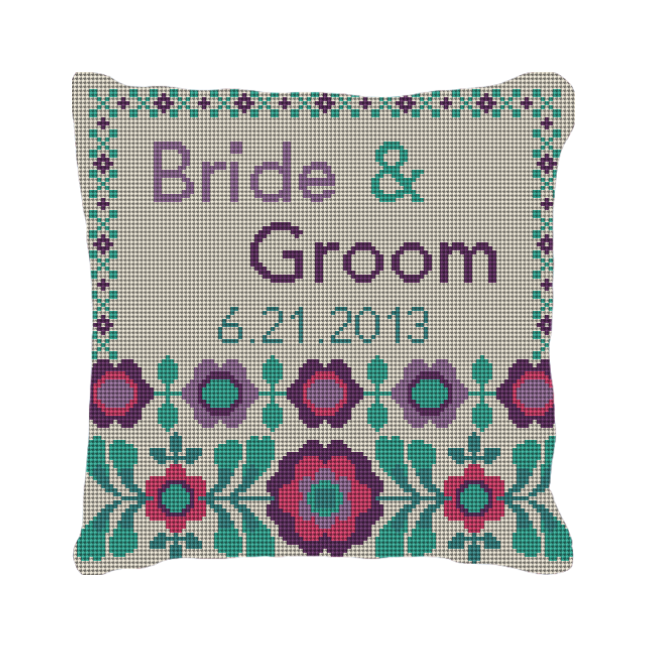 We’ve got three new custom wedding ring bearer pillow designs on our website. 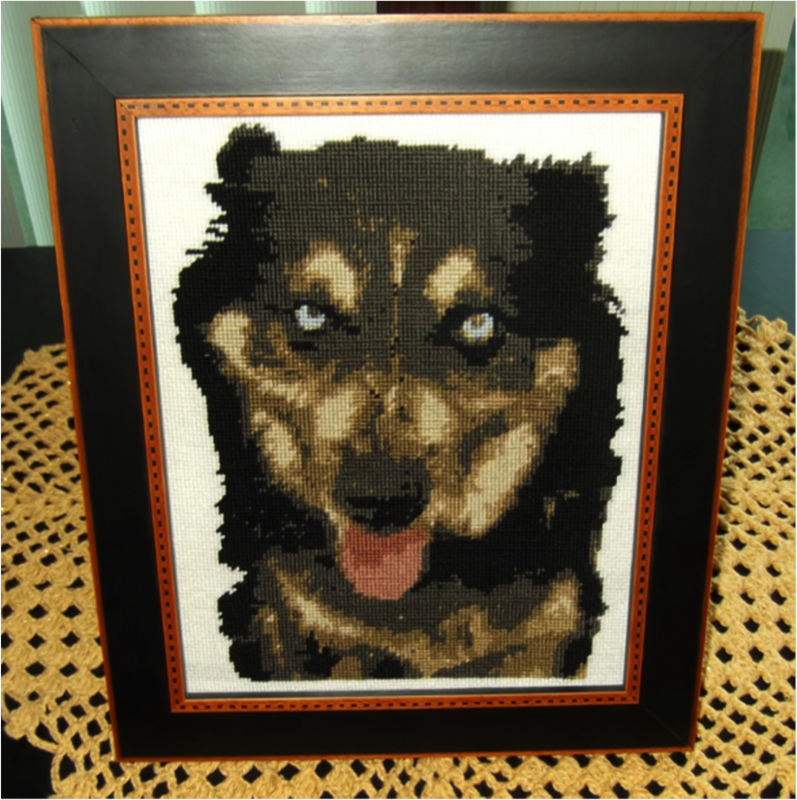 Each design will be personalized for you, and you now have the option to stitch it yourself or have us stitch it for you! We’re still working out the bugs on the website, but we’re excited about it! So please let us know if you encounter any issues. 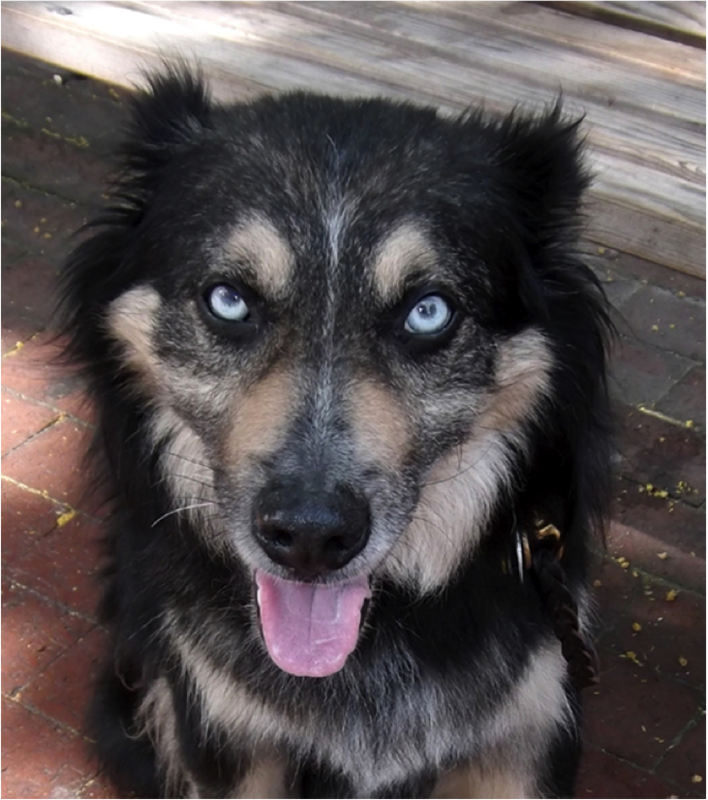 We love our dogs here, and we love to make dog needlepoint kits for our customers, but every once in a while, we get some images that you have to see to believe. Here are two amazing works recently finished by Dorothy in New York (she stitched Spud) and Linda in California (who stitched Parker). 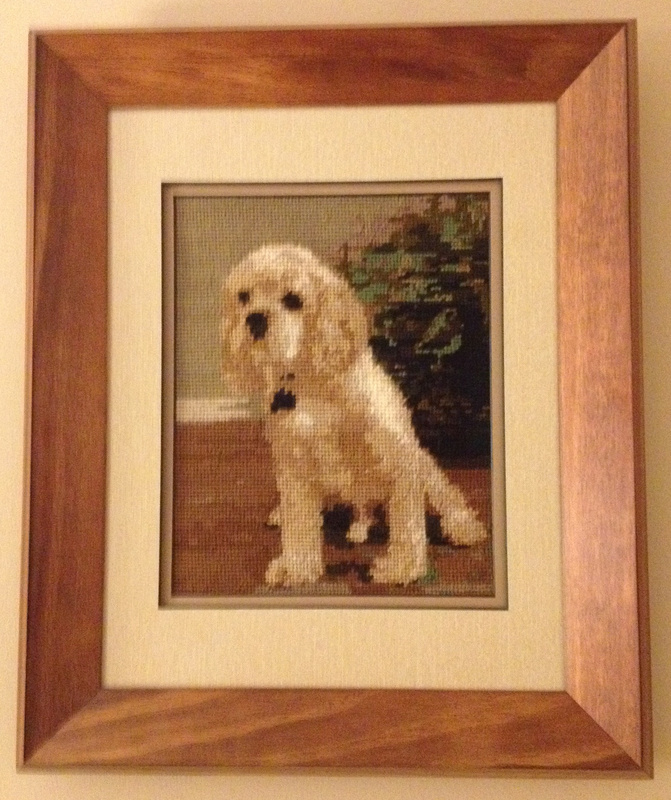 Needlepointing a photo of your dog can be a challenge, but if you have the patience, it is worth it! 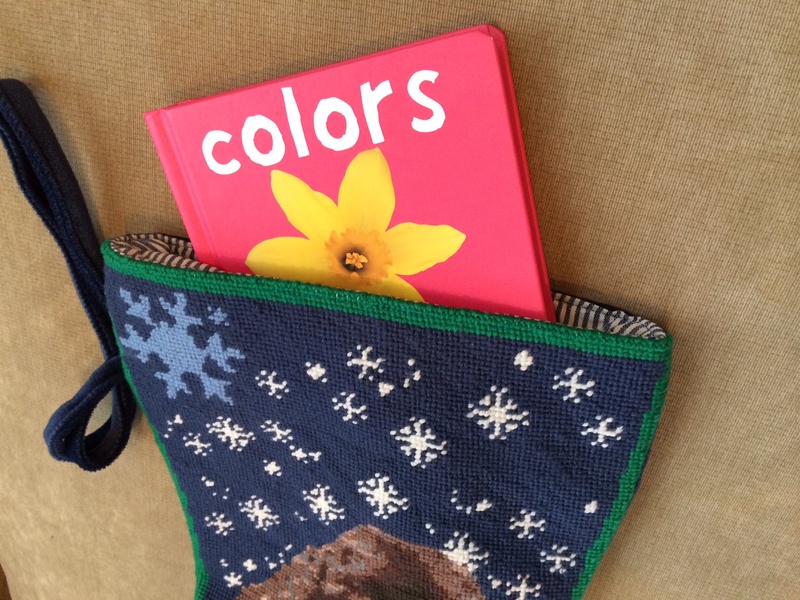 Nice stitching Dorothy and Linda and thanks for sharing!!! 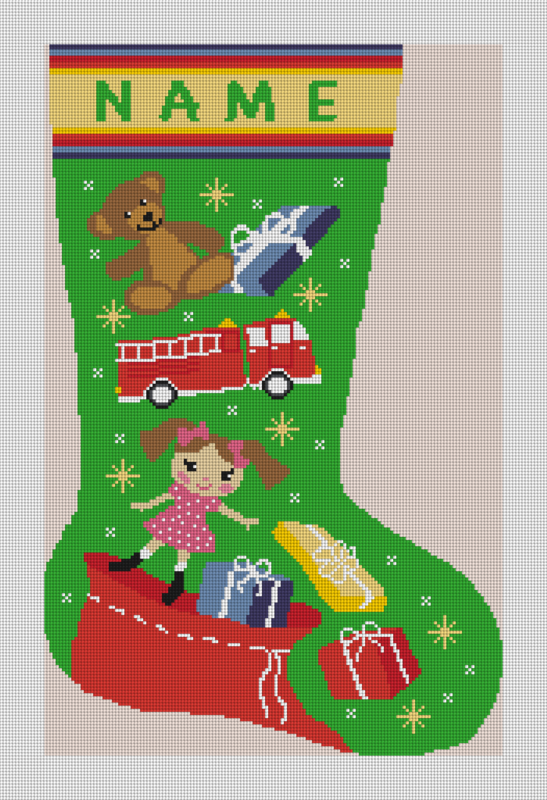 We are celebrating the season with three new fantastic needlepoint Christmas stocking designs! Not too much for me to say in this post, other than a warm thanks to Tracy for her hard work creating them. 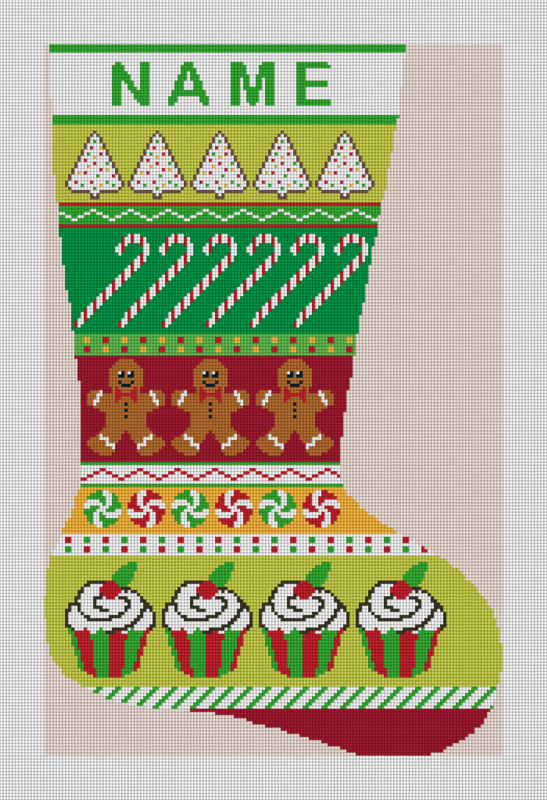 Here are links to the three needlepoint kits: Avesta Needlepoint Stocking, Christmas Treats Stocking, and the Holiday Magic Stocking. 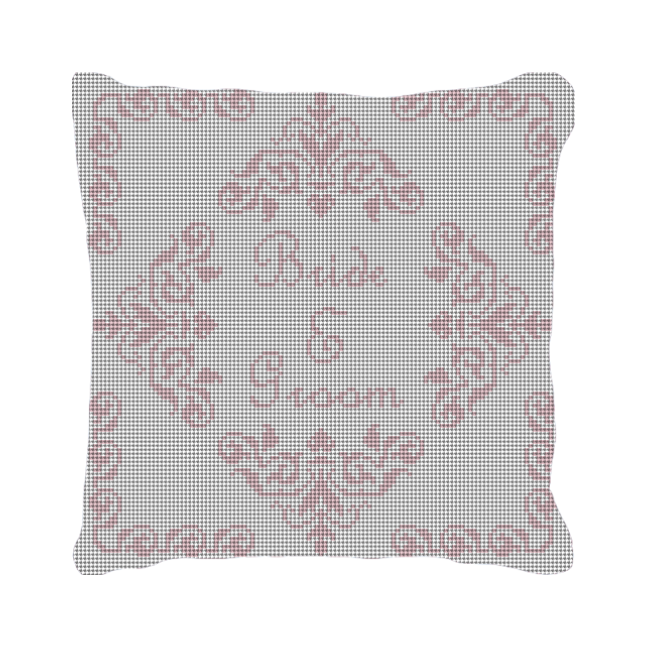 Each design is made to order and will be personalized before it is made. 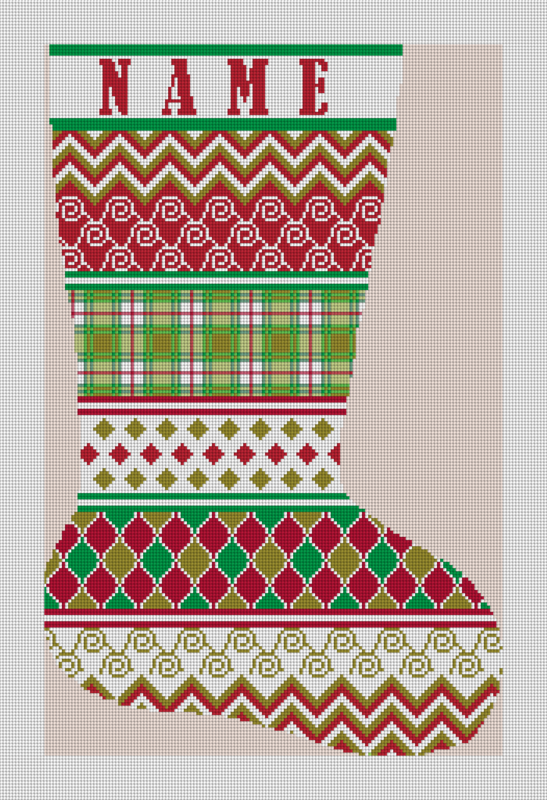 The colors can be changed and if you’d prefer a larger size, that is possible, too!